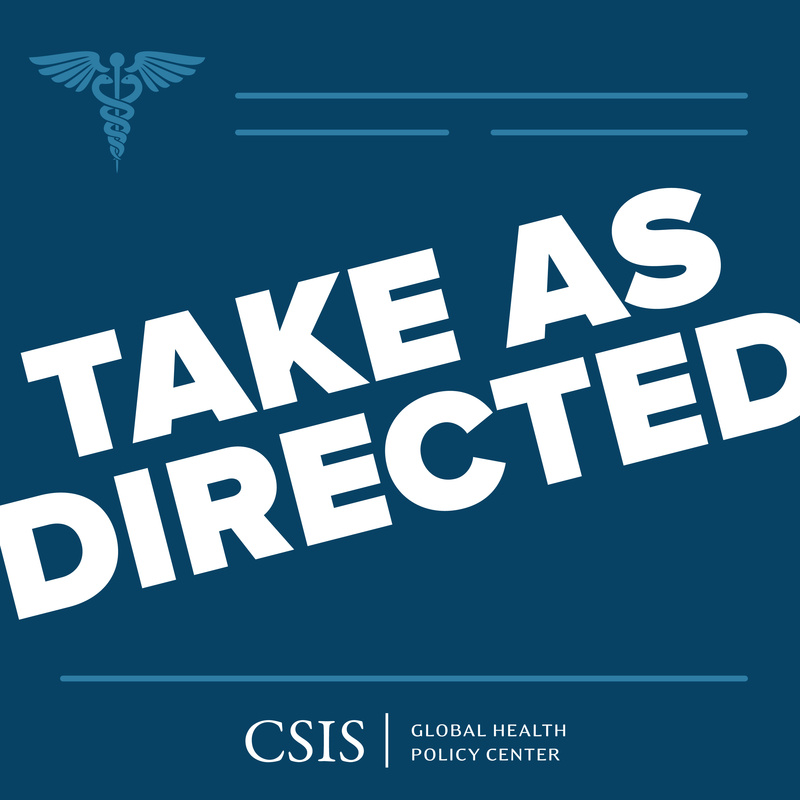 Welcome to the August 2017 newsletter from the Global Health Policy Center(GHPC) at the Center for Strategic and International Studies (CSIS)! We invite you to catch up on our latest content. At the event, the panelists discussed why, at a time of constrained U.S. budgets, the DREAMS public-private partnership addresses a critical gap in efforts to curb the HIV epidemic and ensure adolescent girls and young women are Determined. Resilient. Empowered. AIDS-Free. Mentored. and Safe. Ambassador Birx provided an overview of why the U.S. President’s Emergency Plan for AIDS Relief’s (PEPFAR) goal of achieving epidemic control requires a focus on young women in 10 countries in Sub-Saharan Africa, how a more comprehensive approach beyond biomedical interventions targets the elevated HIV risk that young women face (including violence, educational access, teen pregnancy), how the private sector has contributed innovation and expertise, and why funding will be more sustainable by incorporating the DREAMS package of interventions into PEPFAR’s Country Operational Plans. Ambassador Palmer described the situation in Malawi and the importance of addressing the needs of girls and young women through an integrated approach; she said this population is the “fulcrum of all development goals,” especially preventing HIV, which requires empowering them with education, health, and community interventions, “or we won’t break the lifecycle of the epidemic.” High rates of teenage pregnancy, gender-based violence, school dropout, and child marriage contribute to the HIV crisis in Malawi, which in turn impact all other U.S. development programs, and ultimately globalhealth security. The panelists' presentations and engagement with the audience underscored that this is a moment of great opportunity as well as challenge in the HIV response and for young women; it requires continued focus on and pressure for results, combined with realism and patience about the timeline needed to achieve such critical outcomes. The Malawi trip and report were completed as part of the GHPC’s HIV Working Group. Over the next month, the working group will publish an expanded version of the short policy brief, as well as companion papers focused on the Global Fund and sustainability/country ownership, and country studies about PEPFAR’s transition in Thailand and Cambodia. On July 13, the GHPC hosted a launch event for its new report, ‘Accelerating Health Innovation in India.’ The report, by Richard Downie, Acting Director of the CSIS Africa Program, and Deen Garba, GHPC Program Coordinator and Research Assistant, is the fourth and final contribution to a series examining some of the most important U.S. bilateral health relations around the world. Panelists representing the U.S. government and the private sector explained that U.S.-India partnerships on health were thriving, and outlined areas for further expansion. Dr. Kayla Laserson, India Country Director at the U.S. Centers for Disease Control and Prevention and acting health attaché, joined by phone from India to explain how U.S. investments in training Indian epidemiologists had strengthened India’s capacity to detect disease outbreaks. Dr. Allyala K. Nandakumar, Chief Economist at USAID’s Global Health Bureau, gave details about a public-private partnership that aims to deliver affordable primary healthcare to up to 10 million urban poor. Dr. Betty Chiang, Senior Director for Public Health and Medical Affairs at Gilead Science’s Access Operations & Emerging Markets Group, explained how Gilead has worked with Indian pharmaceutical companies to expand the range of generic medicines to treat HIV and hepatitis C and lower their cost to consumers. Lily Dattilo, Program Coordinator and Research Assistant, and I published a short report on the U.S. opioid epidemic, in which we summarize our findings and reflections from a fact-finding trip to Eastern Kentucky. Behavioral health expert Julia Zur, Senior PolicyAnalyst at the Kaiser Family Foundation, accompanied us on the trip. In the report, we discuss the exceptional severity and duration of this crisis; impressive mobilization and innovative programming in Eastern Kentucky; and persistent gaps in treatment, law enforcement resources, research, and data. We also note the centrality of Medicaid expansion to treatment access and affordability in Kentucky, and Kentucky’s need for external resources to effectively combat its crippling epidemic. We call for a unified, long-term national strategy that better integrates public health approaches with law enforcement. Julia, Lily, and I conducted a similar opioid epidemic research trip to New Hampshire July 16-18. We learned about innovative local solutions to the opioid crisis in New Hampshire, including fire stations that link people seeking treatment for opioid addiction to treatment services. To better define the epidemic, the state drug czar and other groups are stepping up efforts to collect, analyze, and share regional data. In addition to shutting down many nearby fentanyl mills, the Drug Enforcement Administration in New Hampshire has taken on a prevention role, organizing anti-drug activities for school children and communities. Some public health and policy experts bemoaned New Hampshire’s lack of resources dedicated to combatting the crisis and poor integration of multiple efforts. We plan to publish our reflections on New Hampshire’s opioid epidemic in a commentary. Lily and I also examined the opioid epidemic in Wisconsin July 23-25. There, we met with members of University of Wisconsin's Pain and Policies Studies Group; John Nygren, the premiere state legislator on the epidemic; community hospital staff; treatment providers; law enforcement; and an emergency medicine clinician. The state of Wisconsin has shown impressive political mobilization around its opioid epidemic, though programs and funding are still in relatively early stages. We heard about hospital and police-led efforts to provide prevention education in schools, expand access to treatment, and change opioid prescribing practices. On May 3, CSIS and the Japan Center for International Exchange (JCIE) co-hosted a half day meeting exploring how the Trump and Abe Administrations can continue and strengthen the two countries’ longstanding partnership in global health. The meeting convened more than 40 senior officials and policy experts from the U.S. and Japan and covered a range of areas for potential collaboration centered on globalhealth security, including in the global health architecture, communicable diseases, governance of multilateral institutions, and innovation. The discussion built upon a previous meeting held in Washington, D.C. in March, co-hosted by JCIE and the United Nations Foundation, that identified several promising areas for future globalhealth cooperation. The full summary can be viewed here. Why Preventing HIV in Adolescent Girls and Young Women Is Critical for Malawi: Amb. Virginia Palmer, U.S. Ambassador to Malawi, is a powerful champion for addressing the needs of adolescent girls and young women as the fulcrum for all development goals. In this episode, which was hosted by Janet Fleischman, we asked her to reflect on efforts in Malawi to control the AIDS epidemic through DREAMS. FDA Commissioner Tackles Opioid Epidemic: Dr. Scott Gottlieb is the 23rd Commissioner of Food and Drugs, sworn in on May 11, 2017. He is a physician, medical policy expert, and public health advocate who previously served as the FDA’s Deputy Commissioner for Medical and Scientific Affairs and before that as a senior advisor to the FDA Commissioner. In his first few months on the job, Dr. Gottlieb has made the opioid epidemic a top priority, taking early action to shape FDA’s leadership role. In this episode, which I hosted, we asked him to reflect on his strategy for addressing the opioid epidemic. Push for Health Sector Reform in Ukraine: Ukraine’s headline-grabbers usually center around macroeconomic stability, corruption, and the ongoing conflict in the East. For the last year, however, an important linchpin of reform – the health sector – has been the subject of intense new development and debate. In this episode, which I hosted, Judyth Twigg, professor of political science at Virginia Commonwealth University, discusses recent health trends and health sector reform efforts in Ukraine. Curating the CDC Ebola Exhibit: In this episode, which I hosted, Louise E. Shaw, Curator of the David J. Sencer CDC Museum, reflects on her experience curating the temporary exhibit EBOLA: People + Public Health + Political Will. This new exhibition is a look at the historic 2014-16 epidemic in West Africa, the U.S., and around the world. It features the GHPC documentary “Ebola in America: Epidemic of Fear” that illuminates how Americans experienced Ebola in 2014. The exhibit will be open through May 25, 2018. Fear and Confusion in Kentucky Over Republican Health Care Bill: Sheryl Gay Stolberg is the Domestic Affairs Correspondent for The New York Times. She has had a long and varied career with The Times as a science correspondent; a congressional correspondent; a White House correspondent, covering the administrations of Presidents George W. Bush and Barack Obama; and a Washington correspondent, specializing in political features writing. Ms. Stolberg recently traveled to Kentucky, where she interviewed residents about the Republican healthcare bill. She published a powerful piece in the Times describing fear and confusion among Senator McConnell’s constituents. In this episode, which I hosted, we asked her to reflect on the views and impact of healthcare reform in Kentucky. The podcast series is available here and on iTunes. Please subscribe using the podcast app.